Our Communications & Infrastructure Team are always looking to overachieve. 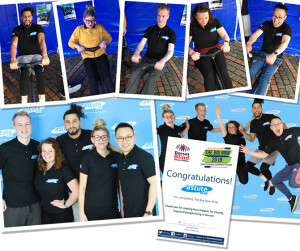 Last month we set them an incentive to overachieve their KPIs and Targets and they worked hard to overachieve our expectations. Their reward…. 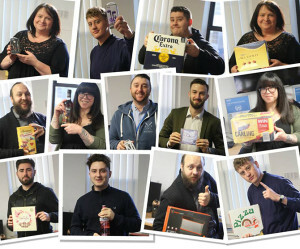 A raffle to win a whole host of prizes….. well done team, great work!! International Women’s Day (IWD) is March 8 to celebrate the social, economic, cultural and political achievement of women. 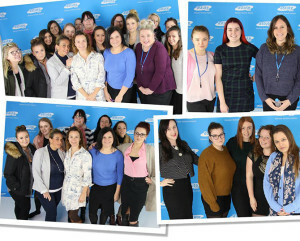 Astute are proud to recognise the vital contribution of all of the women in our business – Thank You and Happy International Women’s Day! Every Friday Astute runs a mufti day to raise money for various charities. All of our staff can nominate any charitable cause close to their hearts. Each staff member then pays £1 to participate and Astute doubles the collection before it is donated!! Recent Friday, not only did our lead generation team take part in mufti, but we also ran a Happy Hour incentive. Who’d have thought caffeine, chocolates and liquor could be such a motivator!! 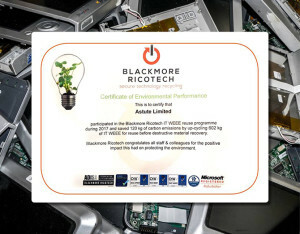 At Astute we pride ourselves on being environmentally friendly so it’s great to receive confirmation that our efforts are not in vain. Not only have we saved 120kg of carbon emissions but we have also responsibly and securely disposed of our old IT equipment inline with GDPR and WEEE best practices. 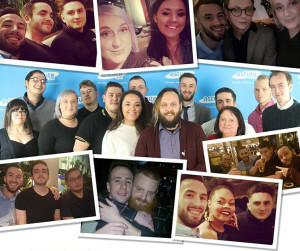 Our Communications & Infrastructure team work hard as was evident when they smashed their targets in January! As a reward, we paid for them to play hard too and let their hair down for the night! 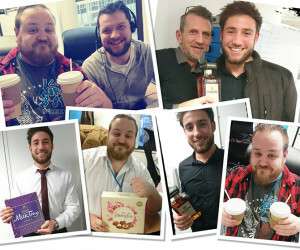 Well done guys, here’s to another successful month overachieving targets! 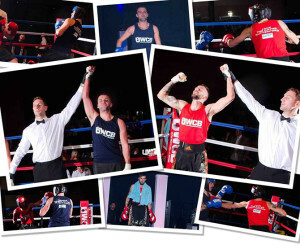 Astute is proud to have supported two employees;Jack Francis Peter Rutterford and Connor Pearce in their Ultra White Collar Boxing events. 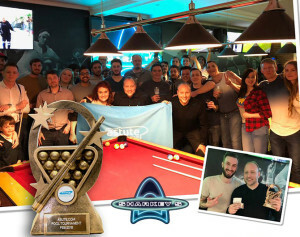 Together they raised over £2000 for charity and to top it off, both won their respective contests – a huge congratulations from everyone at Astute! 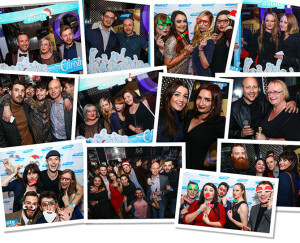 Our staff worked exceptionally hard in 2017 and so our Christmas Party was an ideal opportunity for everyone to let their hair down and celebrate. Thank you to everyone who attended and to Declan, Sonny and the team at LE CHIC – Bournemouth for their hospitality.